The ceremony was May 11-12, 2001, in Vancouver, Canada. Though Nick didn't win, LUNCH WITH CHARLES won in the Best Director, Best Screenwriter, and Best Musical Score categories. Nick stars in LUNCH WITH CHARLES, a romantic comedy, with Hong Kong stars Lau Ching Wan and Theresa Lee, as well as rock star Bif Naked (who appeared in the ONCE A THIEF episode "Kangaroo Court," and in an episode of Buffy the Vampire Slayer). The film was released in Vancouver on January 26, 2001 at Tinseltown Theatre, and opened in Hong Kong on February 5, 2001. LUNCH WITH CHARLES played on March 9, 2001, at the Okanagan Film Festival in Kelowna. It was the first film in the festival's history to sell out. The feedback was fantastic. It will start a general release in Kelowna at the Paramount Landmark Theatre, beginning March 16. 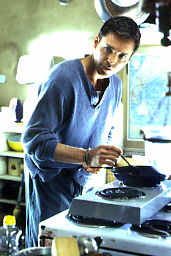 It was screened as part of the Local Heros International Film Festival in Edmonton (Alberta), March 17, 2001, then had . a general release in Edmonton, opening March 23, 2001, at the Gateway 8 Theatre. It aired at the Moving Pictures Festival in Ottawa on May 2, 2001 and then in the Maryland Film Festival on Friday, May 4, 7:00pm and Saturday, May 5, 4:00 pm. LUNCH WITH CHARLES aired at a film festival in Shanghai in early June. It was chosen as one of nine "must-see" films by the Shanghai Daily and voted by another Chinese paper one of the top ten. It played at the 21st Cambridge International Film Festival in England, with screenings on July 19 at 3:15 and July 20 at 5:30. It was shown at Toronto's Cinema du Parc Saturday, July 20, 2002, 5:15pm, as part of the Just For Laughs International Comedy Festival. LUNCH WITH CHARLES showed at the Hawaii Film Festival November 2 - 11, 2001. It screened at the DC Asian Pacific American Film Festival in Washington, DC, on October 11, 2002. A DEBUT FEATURE FILM SHOOTING ON LOCATION IN VANCOUVER & INTERIOR B.C. Vancouver, B.C. 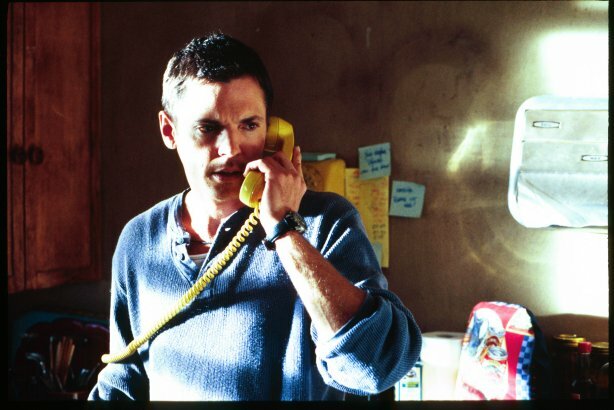 May 18, 2000– LUNCH WITH CHARLES, a debut feature film by writer/director Michael Parker, is the story of two couples in crisis that cross paths, and cultures, on a fated journey to Banff. Principal photography on the film begins today, Thursday, May 18th, with locations in Vancouver and interior British Columbia. Natasha and Matthew have both compromised their careers for love. All they have to show for such noble sacrifice is a broken down business and the bitter knowledge of abandoned talent. April and Tong are divided by the ocean, Immigration and warring ambitions. Hong Kong and Vancouver are worlds apart, and the rugged Rocky Mountain landscape is a different universe….where rules don't have to apply. The Quest - is for fulfillment: creative; spiritual; cerebral; and romantic. The Journey - is a subtly hilarious epic of mishaps and heartfelt moments. The Outcome – is one new relationship, and two free spirits. Bif Naked, in her first starring film role, is “Natasha”, a woman who struggles to explore her stunning voice as a celtic singer, without losing herself. Hong Kong star Sean Lau (aka Lau Ching Wan – The Longest Nite, Black Mask) makes his North American debut as “Tong”, who likes where he lives and fears that in Canada his still unfulfilled dreams of making it as a singer will be buried forever by his bad English. His wife, “April”, played by Theresa Lee (The Poet, Big Bullet), has the golden key – her Canadian passport – and revels in all the trappings of success that her workaholic lifestyle brings to her. 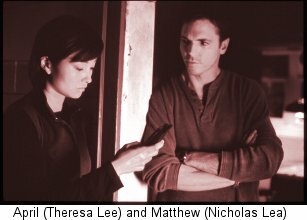 “Matthew”, played by Nicholas Lea (Vertical Limit, “Krychek” – The X-Files, Once a Thief) is a Buddhist, and a big “R” romantic. He’s being a fool for love, and is having second thoughts about it. “Cora”, “April’s” inept assistant, is played by Françoise Yip (Rumble in the Bronx, Romeo Must Die). The Juno Award-winning Celtic band The Paperboys are “The Standing Stones”, with Philip Granger (The Goon Squad, Wind At My Back) as the manager “Charles”. LUNCH WITH CHARLES is written, directed and produced by Michael Parker (Holiday Pictures Ltd.), and co-produced with his partner Shan Tam (same). 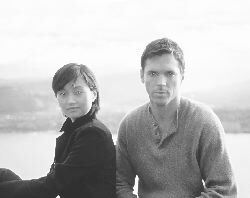 This is a debut feature film for Parker and Tam, who are successfully established in the B.C. and International Entertainment Business as line-producers for a number of feature films, including the Jackie Chan blockbuster Rumble in the Bronx, and several television series. They have also created and produced documentaries, docu-dramas, commercials and interactive videos. LUNCH WITH CHARLES is an independent feature film by Foreign Exchange Films Ltd. in co-production with Hong Kong’s Newfull Development Co. Ltd. The film is produced with the participation of Telefilm Canada, and the Canadian Television Fund, with development support from The Harold Greenberg Fund. The film will be distributed in Canada by Vancouver-based LS Entertainment and in Asia by Mandarin Films Distribution Co. Ltd. Subsequent television broadcast of the show will be on The Movie Network, Superchannel, Super Écran and CHUM Television. The executive producer of the film is David Hamilton (Deepa Mehta’s trilogy Fire, Earth, Water) and Stephen Shin is the Hong Kong co-producer. Production design is by Michael Bjornson (Double Happiness, Drive, She Said); the director of photography is John Houtman (the Cannes Award-winning short film Shoes Off), and film, television and theatre composer/director/music producer Simon Kendall, is creating the score. OFF TRACK? The Holiday Pictures Ltd. film Lunch With Charles was Thursday shooting at the Kettle Valley Railway trestle in Summerland. The romantic comedy, by writer/director Michael Parker, stars Bif Naked as Natasha and Hong Kong's Sean Lau in his North American debut as Tong. In this scene, a couple on a fated journey from Vancouver to Banff awake to discover they have over-nighted in their vehicle parked on the Kettle Valley Railway trestle in Summerland. And shortly, a not-distant-enough train whistle wakes them to the fact that the tracks aren't quite as abandoned as they had thought the night before. The Kettle Valley Steam Train tries to stop, but careens into the vehicle, forcing the couple to continue their journey on foot. Scenes for Lunch With Charles were also shot in Penticton, Peachland, and Naramata. And check out the photo Katie scanned in. No Nick, but it's still kind of cool! The ReelWest site has an article on LUNCH WITH CHARLES, which includes a photo of Nick.